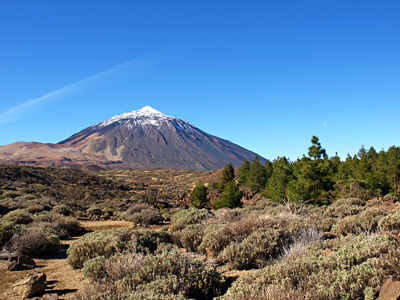 Our favourite Tenerife walks change according to the time of year. We might choose Teno as the best spring walk when all the wild flowers are in blossom; the upper La Orotava Valley for high summer when the dense pine forests afford delicious shade; the spectacular Anaga Mountains for October when temperatures have settled from their summer highs and the clarity of the air is at its best and the Santiago Valley in winter when views of the snow-clad Mount Teide and Pico Viejo follow your every move. Over the past few years, more and more we’ve enjoyed discovering what it’s like to walk on the other Canary Islands, mainly La Palma, Gran Canaria, Lanzarote and La Gomera. 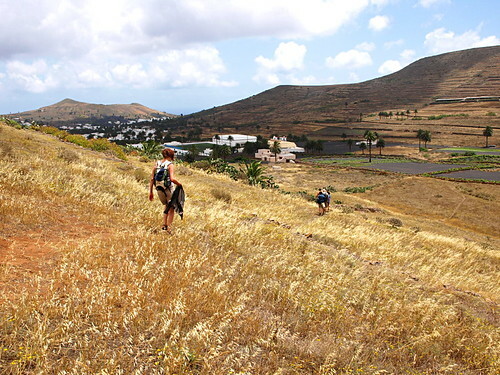 We spent a little time in Fuerteventura at the back end of last year and were amazed at how much more there is to the island than just its incredible beaches and we’re hoping to get the chance to do some walking there in the first few months of 2014. The only Canary Island we have yet to set foot on, to our own shame and dismay, is little El Hierro which we’re fairly sure will blow our hiking socks off, but we hope to remedy that very early in the New Year. 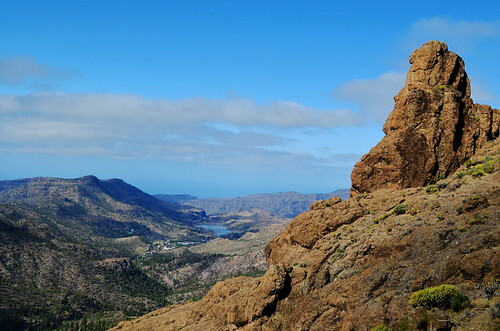 So, given the caveat that we may change our minds if we discover more routes to try, and allowing for the addition of El Hierro and Fuerteventura, here are our favourite Canary Island walks. 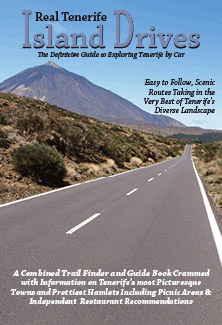 If really pressed to name an absolute favourite route, we think it would probably be the Cruz del Carmen to Chinamada route in the Anaga Mountains, and if we had the luxury of two cars, continuing from Chinamada to Punta del Hidalgo. 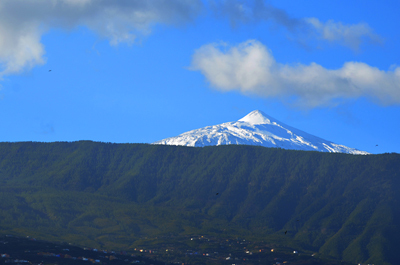 The unspoilt beauty of the mountains is all the sweeter for knowing what the tourist developments of the south and south west of Tenerife look like and how far from that these ancient ravines and peaks are. The first time we laced up the boots and headed into the Anagas it struck us that if you blindfolded someone, put them in a helicopter and brought them here, never in a thousand attempts, would they guess they were on Tenerife. And we still maintain that. 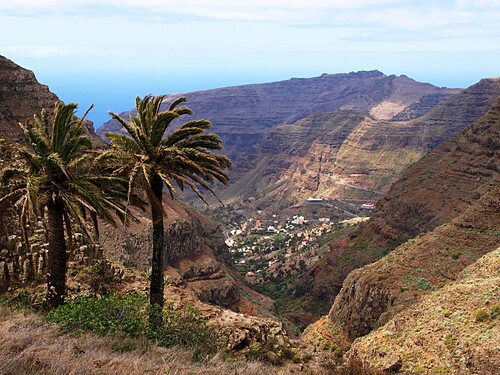 Like Tenerife, Gran Canaria is much better known for its sunny, southern shores and lively nightlife but if you move away from that scene and into its mountainous interior, you’ll find superb walking. 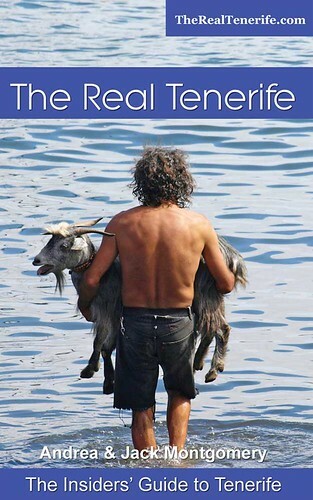 Recently, we walked almost the entire length of the island on behalf of Inntravel for whom we create and maintain walking holidays in the Canary Islands and we were blown away by our itinerant week. 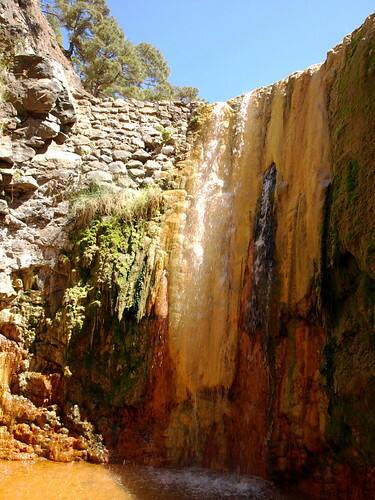 But if we were to choose the single best walk in that week of spectacular walks, it would be the route from San Bartolomé (Tunte) above the south coast, to the village of Tejeda. 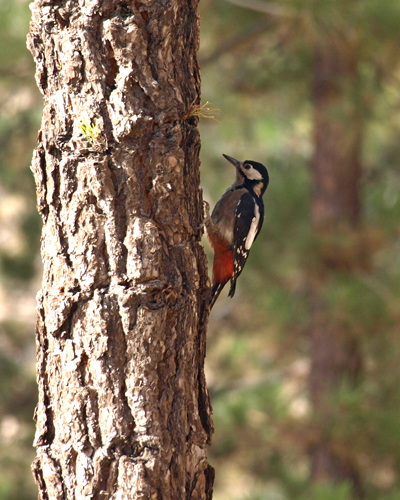 The route has everything; from traversing a ridge high above the valley with panoramic views across the peaks of the central mountains; to flower-filled woodland and a winding camino real into the stunning Tejeda Valley. Reminiscent of walking in Teide National Park but on a smaller scale, hiking on Lanzarote invariably involves scaling volcanoes and trying not to get tiny stones of picon in your boots. Lanzarote’s landscape has a unique beauty, one that’s perhaps not immediately obvious if you’re a greenery lover but one that gets under your skin and leaves its imprint on your mind’s eye long after you’ve left its shores. It was tempting to choose the desert island-like La Graciosa as our favourite – just because it’s so, well, desert island but in fact the walk we enjoyed most was the Peñas del Chache route that took us from above Famara Beach, through a thigh testing climb, to the top of the Famara Cliffs with fabulous views over Graciosa before descending into Haría Valley. Despite being the third most populous of all the Canary Islands, La Palma is one of the least visited in tourism terms, a fact which is even more surprising when you learn that it actually has some of the best individual walking routes in the entire archipelago. Most water rich of all the Canary islands, La Palma is blessed with gushing waterfalls and a river which runs even in years of extreme drought – features which provide some of the most spectacular walking. 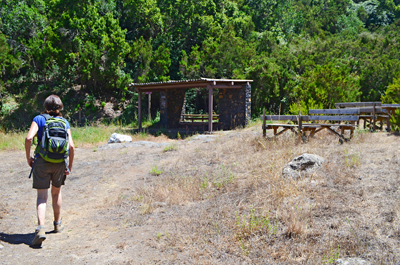 Although the waterfalls and tunnels of Marcos y Cordera make for an exciting and breathtaking hike, to our minds it’s the unrivalled beauty of the Caldera de Taburiente which has the best walk on the island. Descending through the forest from Los Brecitos to the valley floor and hiking through the narrow gorge to the magnificent Cascada de Colores (rainbow waterfall) is quite possibly the best walking route in the entire archipelago. 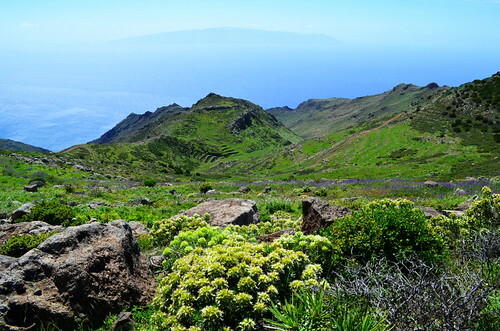 Despite being less than 150 square miles in terms of size, La Gomera provides such a wealth of walking trails taking you through landscapes reminiscent of three continents, that it richly deserves its reputation as the most popular of all the islands for hikers. 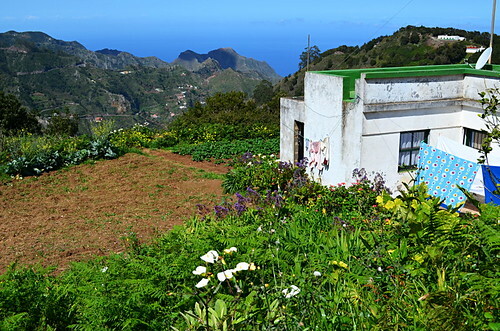 One of the best things about La Gomera is that you are in spectacular walking country from the moment you step outside your door, wherever on the island that may be. Trying to chose a favourite walk on this verdant paradise is no easy task but if pressed it would have to be Igualero to Vallehermoso. 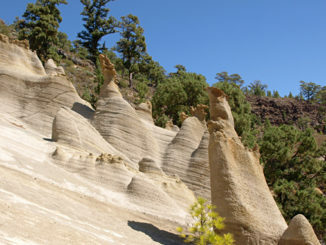 A 20km route which takes in what is known locally as ‘the balcony walk’ which traverses the rim of Barranco de Erques and the hamlet of Chipude, the route traverses some of the most spectacular scenery on the island and takes in the characterful Casa Efigenia restaurant before descending alongside the lake into Vallehermoso. 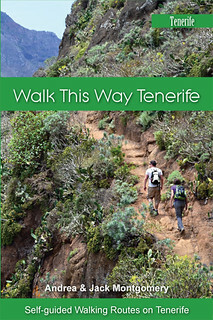 Self-guided walking notes for Tenerife are available to order online for you to print off at home and there are 25 magnificent routes incorporating the best of the island’s walks and including colour photographs and information on flora, history, culture and weather along with suggested detours and recommended restaurants for the special price of just €9 for the entire set of Island Walks.